Long and slim with smooth transitions - Stamp cutlery was created by Robin Platt, one of the most successful British designers in the last decade. The 30 piece or 60 piece sets come with tablespoons, forks and knives as well as coffee spoons and cake forks, to serve six or twelve persons. The details of the set complement one another perfectly - in the same harmonious way Stamp blends beautifully with any table décor and matches any type of tableware. Crafted from polished Cromargan, the cutlery pieces are pleasant to hold, everlasting, durable and ideal for everyday use.  Any number of individual WMF items are available to complement this set. This cutlery is easy to care for and dishwasher safe.